What Are Diamonds Reports And Diamonds Certificates? Read This! Home » Diamonds Must Know! » What Are Diamonds Reports And Diamonds Certificates? The simple reason why diamonds are expensive is because they are everlasting, and even immortal. With laser, glass and even silicone fillings, cheaper diamonds can look bigger in size and impact your decision making practice. Attaining a diamond grading report as well as understanding it in-depth, is a necessity of the diamond buyer than the seller. You need a diamond report to protect your money spent as well as the treasure bought. Complicated and confusing at first, diamond reports, certificates and appraisals are distinct in its properties as each serves different function. Commonly referred to as a ‘cert’, a diamond Certification is the guarantee of the accuracy of the established facts in the report, sans the opinion or comments of the auditor. It is issued by a certified diamond laboratory, signed by the official auditor, who is responsible for the correctness of the furnished information. As Diamond Certificates are called the 5th C, an unscrupulous evaluation of the diamond sans indicating its monetary value is mandatory. The term “diamond certificate” is often used interchangeably with Diamond Grading Reports, which is wrong. The truth is that there are no diamond certificates. All the laboratories provide the certifications, which are called as Grading Reports. These Grading Reports enclose the scientific analysis of the rocks based on the 4 Cs and umpteen other characteristics that uniquely determine the diamond. The sole thing to look out for when acquiring a diamond certification or report is the characteristic of the laboratory you receive it from. As there is no standard diamond authority that sets universal standards for diamonds, rather, laboratories conduct the rating and analysis of diamonds. These, conduct it with independent parameters as well. According to official GIA Reports, diamond certification is more of an endorsement from the specific laboratory, while a report is factually accurate. A Report is issued only after inspecting the specific diamond by diamond experts with cutting-edge instruments to infer the structure and inclusions of the diamond. What Is A Diamond Grading Report? A diamond grading report is issued after an official auditing of the diamond through a certified auditor to confirm the facts applicable to the diamond. The skills of the auditor determine the number of inclusions included as well as rarity of the diamond observed and the result drafted. Even though diamond grading reports are factually accurate, laboratories that certify it has both, hard and fast rules about the process. The cost and parameters assessed for a diamond grading report are varied and dependent on the laboratory. Exemplifying, for a multi-million dollar company, 4% inconsistency is no big issue, as the bulk order is indeed an expansive job. However, from the eyes of a customer, why risk the 4% when you can find another diamond that has 0% inconsistency. Why do you need a diamond grading report? There are many jewelers that provide enhanced diamonds, on which the inclusions have been worked on with silicone, laser or glass. Enhanced diamonds are not cheap, but are rated at half the price of original stone, dependent on the inclusions. If any jeweler refuses to provide a diamond grading report or appraisal upon request, there is indeed no guarantee that the sparkly stone is even a diamond! A diamond grading report is an everlasting proof of the characteristics of your diamond. You can also use the inferences of the grading report to independently calculate a rough price of your diamond in the future as well, based on changing market conditions. Who Provides The Diamond Grading Report? A diamond grading report is provided upon thorough assessment of the diamond’s various characteristics. In order to make the most out of comprehending what your gem or choice of gem should be, you must know if the report is genuine and inferred by experts. Diamond grading is a subjective analysis owing to the fact that there is no universally accepted perfect diamond. There are zillions of diamond experts and laboratories, but some of the reputed most Certification Labs are AGS, EGL, IGI, HRD and GIA. Established as early as in 1930s, GIA is also one among the notable founders of Modern Gemology for introducing the 4Cs to the Diamond industry. GIA began issuing gemological courses and Graduate Gemologist (GG) diploma in 1948 and in 1955, GIA issued the first complete grading report. GIA lab is non-profit establishment and it is considered to be the most accurate by setting global quality standards in order to better protect the buying public. GIA is the world leader in research to deepen our knowledge and understanding of gemstones. Also known as the Diamond High Council, HRD is the European Counterpart of GIA. In the perspective of the European Union and countries within, HRD Grading is the only accepted norm. American Gem Society comprises 3,400 jewelers inclusive of suppliers, retailers and individual sellers as well as affiliates. Every jeweler under the AGS system undergoes AGS standard checks. The AGS grading lab is non-profit establishment with accurate and cutting edge equipment from all over the world. It does not approve conflict diamonds, is expensive and provides grading of diamonds based on the Cut of the diamond rated 0 to 4 as most desirable to least desirable, respectively. As EGL provides varied certifying standards for its own differently located labs, the consistency of the laboratory is underrated than its counterparts. EGL has many branches and on an average, the grading process is quick and cheap, but poor when compared with other laboratories. EGL is renowned for developing the clarity grade of ‘SI3’ as well as consistent discounts. EGL in New York and Los Angeles are rated the best while that in Europe and borders fraudulent practices. Yet another noteworthy diamond Laboratory is International Gemological Institute, which provides appraisals for diamond sellers and buyers. An appraisal is issued strictly as bonus info for ensuring the monetary worth and insurance of the gem. The Appraisal is the calculation of the price and value of your diamond. The appraisal allots a value to the diamond in question, based on the market standards at the time of request of appraisal. Although, an appraisal can be constructed by anyone including your salesperson at the diamond jeweler, the reputation and qualification of the appraiser is also necessary for owning an accurate appraisal. Additionally, the quality of the equipments used to raise an appraisal, inclusive of the all-inclusive parameters also plays a vital role in determining the worth of your stone’s appraisal. When acquiring an appraisal for your diamond, it is better to get it before the stone of your choice is mounted on a metal, say for your engagement ring. What Does A Diamond Appraisal Include? A Diamond appraisal helps to uncover the potential value of the jewelry based on fair market prices and as the market conditions are momentary, an appraisal is definitely more than a price tag of your gem. 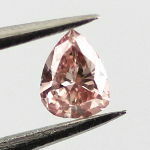 When the appraisal is sort from a reputed laboratory, the accuracy determines your diamond trade-in options too. There is no universal accuracy for diamond appraisals; however, a diamond appraisal does assess the 4 Cs, Purity, Styling and Measurements of the stone under observation, individually. It helps to coin a standard value of the stone for insuring it. All insurance companies demand an appraisal in addition to the grading report of the diamond. Prior to requesting an appraisal, you must verify if the appraiser is a Graduate Gemologist (GG), certified by the GIA or an association that adheres to the USPAP- Uniform Standard of Professional Appraisal Practise. The appraisals provided are New Replacement Value (NRV) and Second-Hand Replacement Value (SHRV) for Diamonds. Who Provides The Diamond Appraisals? There are many laboratories and independent appraisers who provide authentic and high-quality diamond appraisals via shipping and direct contract. As the value of appraisal is dependent on how, when and why the appraisal has been sought for from whom, the cost and quality can vary. Why Do You Need A Diamond Grading Appraisal? You need a third part evaluation of your diamond, if you’re unsure of the authenticity of the jeweler or the jewelry. All appraisals are clocked at a value higher than the market value. Quality Analysis determines the potential worth of the diamond after elaborating the inclusions or imperfections, if any. Better Trade-In when you are trying to resell your jewelry, if the appraisal is immediate, then you can avail the same rate, if the appraisal is sought from a reputed laboratory. Unbiased Review of the value of your diamond from the experts who observe the stone deeper than you or a passer-by. A diamond appraisal protects the owner from being scammed about the value of the diamond when re-selling as well as for insurance purposes. It is true that many people interchange Diamond Grading Report and Appraisals without realizing that the two are two completely distinct subjects. A diamond grading report is the factual analysis that is certain and unchangeable, while an appraisal is merely the opinion of a third party diamond expert, rather than strenuous and broad tests recorded, like in a report. All diamond grading reports are generated with a unique report number that is also recorded in the official records of the laboratory. Depending on the choice of the customer, availing the laser registry of this report number is easy too. Records the weight and worth of your stone based on the market conditions, gemological updates and rates. Rate of Perfection or absence of inclusions determines the durability aspects and benefits of a stone. Also denotes the discounts that can be availed on a stone, when appraised by the jeweler you purchase the stone from. An appraisal provides the re-sell value of a diamond, which is also known as the replacement value. As diamond appraisals are sought from independent third party Graduate Gemologist, the skills and equipment used to analyze vary and have an impact on the results inferred. As the appraisal is subject to the market fluctuations, if you seek an appraisal during market fluctuations, the sought appraisals can prove to be worthless as well. The biggest difference between a diamond appraisal and a report is that both have distinct and dissimilar functions. Not everybody needs a diamond appraisal at all times, but it is mandatory to get a grading report when buying a diamond. Diamond appraisers use the diamond report to refer and source their conclusions in the appraisals. The value of the Diamond Report/ Certification or/and Appraisals are important to determine what your diamond is and what worth does it have. A diamond grading report is more important than a diamond appraisal because knowing the quality of your diamond will help you determine its worth, even independently, depending on the forever-changing market conditions. Knowing how to read a grading report, certification and appraisal will help you understand how to manipulate the brilliance and fire in your diamond. That being said, a diamond report and appraisal, both protects diamond owners against scams and fraudulent deals. It is you who decide which is the one that serves you better based on the reviews, reputation and expertise of the laboratory you decide to analyze your stone with!